Are the latest actions by the Canadian authorities putting a damper on the condo market bubble or even slowing down the overall housing price increases? The latest figures indicate that sales (but not prices) are visibly down. 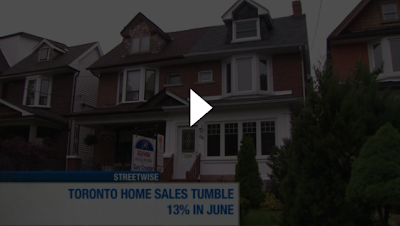 The Globe and Mail: - The latest figures, released Thursday by the Toronto Real Estate Board, suggest that downtown condo sales fell 18 per cent in June from a year ago, to 1,415. By comparison, they rose 5 per cent in May to 1,632. While there had been a decline in March of 2 per cent, that pales next to June’s decrease. 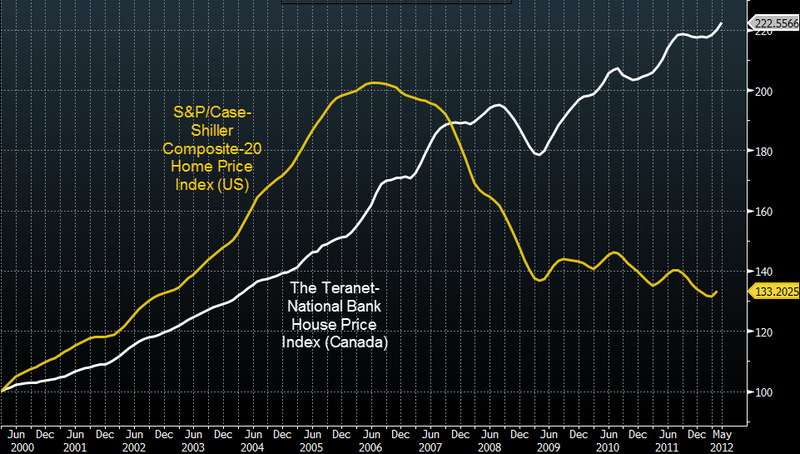 Apparently that hasn't translated into price declines yet, though the expectation is that it will shortly. The concern now is that this decline, when it comes, may be quite severe. That's because the condo building momentum is still quite strong. The Globe and Mail: - More units are being built in Toronto than any other city in North America. The fear is that when they come on the market the demand will not be there, and that will result in a significant drop in prices. In fact building permits for all types of housing across Canada had risen recently. Reuters: - The value of building permits issued in Canada jumped 7.4 percent in May from April to its highest in five years, boosted by construction plans for institutional buildings and for multi-family housing in the Western region of the country. The jump - far bigger than the 1.4 percent increase forecast by analysts in a Reuters poll - followed a 4.4 percent drop in April. The value of residential permits rose 8.5 percent in the month after four straight months of decline. Permits for multi-family dwellings skyrocketed 17.7 percent mainly due to strong building intentions in the West Coast province British Columbia, as well as in Ontario and Nova Scotia. Singe-family dwelling permits rose 2.1 percent. 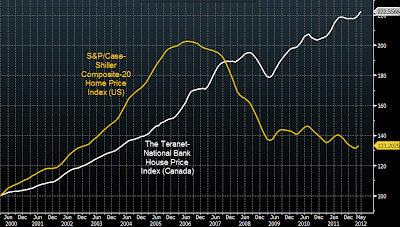 With the resources sector being a big part of Canada's GDP, how severe can the housing market correction become? Certainly compared to the US (which is not a fair comparison for a number of reasons), there is plenty of room for price declines. Can the overheated condo market be the trigger? Apparently we are about to find out. The video below provides a good discussion on the topic.